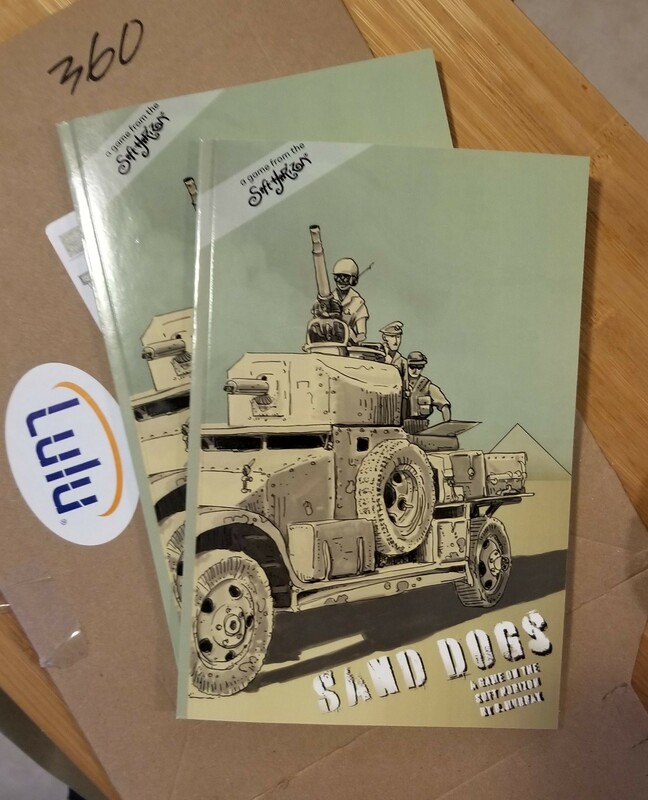 Sand Dogs proofs are in! Just going to review these and if everything is up to snuff...release! Fly my pretties, fly! What was the proofing process like? Seems like it'd be pretty involved. I've been through it many times. By the time we get here everything is pretty much how I want it, I'm just checking that the cover worked as intended and the PDF prints everything correctly. Which it rarely doesn't once you get a handle on the expected input for your POD partner. So, output print standard PDF (InDesign has a preset that works great), use the Lulu tool to get sizing info for the cover, re-jigger the cover and submit both it and the PDF. The software at Lulu validates it and makes it available to buy proofs. Buy and wait. DTRPG POD is similar but with more waiting.